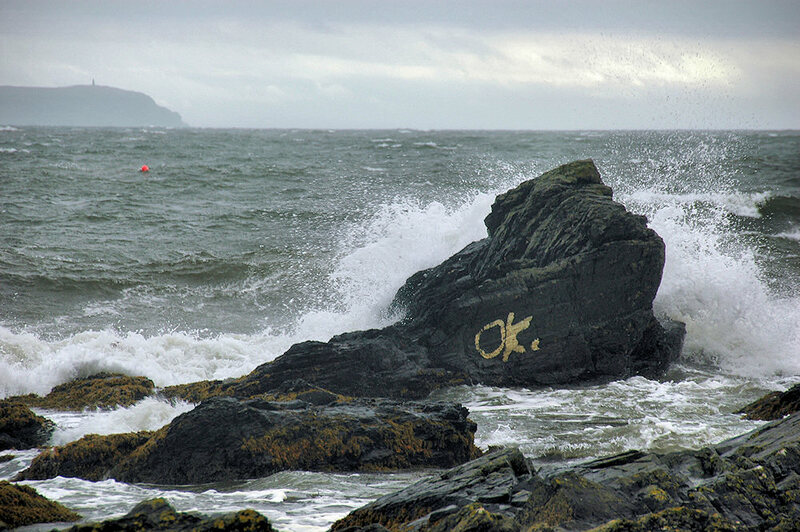 This rock can be found near Port Charlotte on the shore of Loch Indaal, someone has painted the letters OK on to it. You can see the Mull of Oa with the American Monument in the distance. One explanation I’ve heard is that if you made it over to the rock without getting wet you were OK. This entry was posted in Cloudy Weather, Landscape, Repost, Sea Loch and tagged Islay, Loch Indaal, Port Charlotte, The Oa by Armin Grewe. Bookmark the permalink.